You can select up to 8 travelers in total. 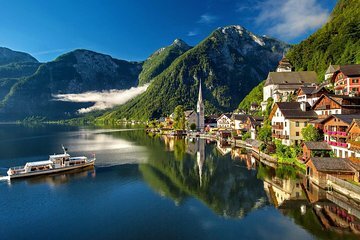 Experience the top sights of Lower Austria in a single day on a private 12-hour tour from Vienna. All-inclusive transportation from your hotel allows you to sit back and appreciate the stunning scenery. Enjoy visits to Melk Abbey, Hallstatt Ossuary, and Mozart’s hometown Salzburg. Be ready to do your best Maria von Trapp impression, as you make stops at filming locations from ‘The Sound of Music’.